Can a song be haunted? Actually haunted by the presence of voices rising up from the past? I believe so. And can a listener be haunted by a piece of music too? I don’t mean merely finding something “hauntingly beautiful”, but a song that is capable of nocturnal visitations or encroaching upon the environment of the listener and changing their perception of their surroundings. Of somehow getting inside of you, and evoking voices of demons that squirm there. I don’t believe in ghosts as spectral physical entities but rather consider them to be the residue of unfinished business or perhaps the sub-conscious’s way of dredging up memories held in our muscles, bones and very DNA, as real as instinct or intuition. Ghosts may have been hijacked by horror film directors and autumnal merchandiser sellers – their white, wailing forms most likely born out drunken wandering folk’s encounters with owls – but really they are reminders of things buried deep within our genetic history evoked through anything from landscape and buildings to scents or tastes – and sounds. Definitely sounds. 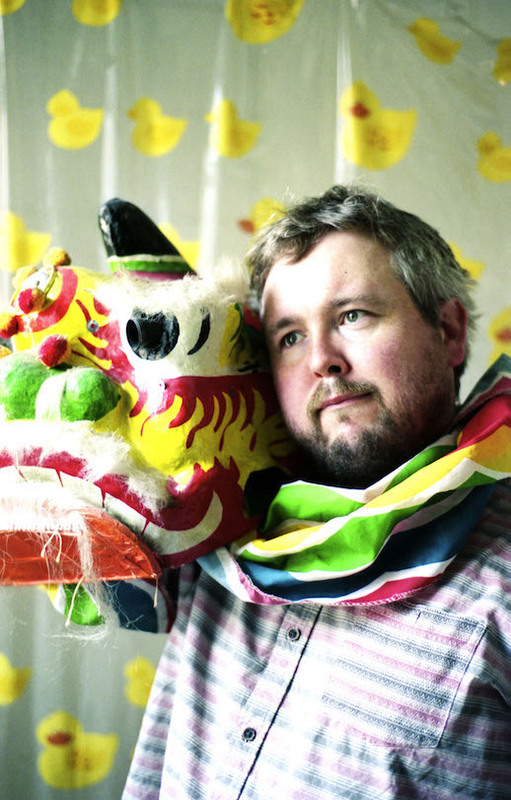 Released just over a year ago, Richard Dawson’s ‘The Vile Stuff’ is a sound that is haunted by the spirits that are unleashed within it during the lyrical tale of a school trip to a Northumbrian castle, and is also capable of haunting the listener with its drones, tonal shifts, key changes and dramatic peaks and troughs. It is Homeric in scope, and as much a novel, play or epic poem as it simply a contemporary folk song. Similarly moved in unexpected ways, John Doran of The Quietus offered a fantastic reading of ‘The Vile Stuff’, in which Dawson himself describes it as “like a cross between Dante’s Inferno – which I’m reading slowly at the moment – and a Hieronymus Bosch painting but with the characters drawn by Matt Groening.” This cartoonish element to which he refers comes in Dawson’s lyrics: “My neighbour Andrew lost two fingers to a Staffie-cross / Whilst jogging over Cow Hill with a Peperami in his bum-bag” is a Benny Hill-ish comedic couplet that’s had me chuckling through the darkest moments of 2015, while another scratched at the inside of my cranium for hours, days, weeks at a time: “I haven’t had a wink of sleep and now the sun is in my porridge / I’m starting a BTEC in engineering at Tynemouth college.” Imagine that occupying your every waking moment. Your every waking moment….